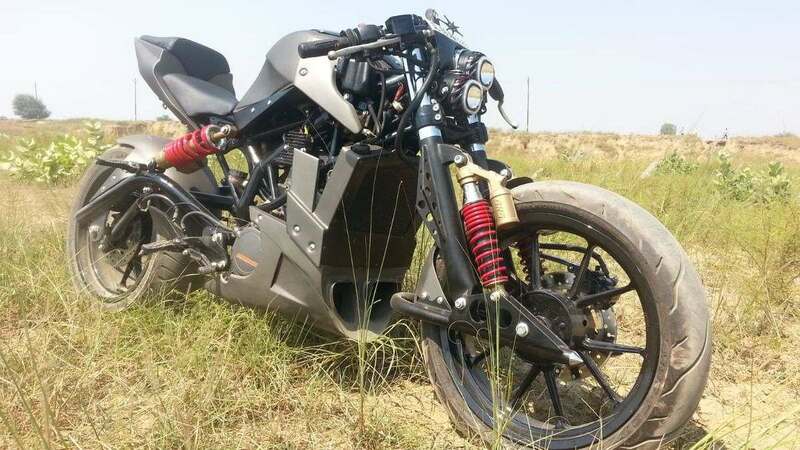 GM Customs, a Delhi-based mod shop that is best known for its Suzuki Hayabusa replicas, has come up with a new KTM Duke 200 modification that completely transforms the country’s favourite streetfighter into a futuristic looking and bolder monster bike. 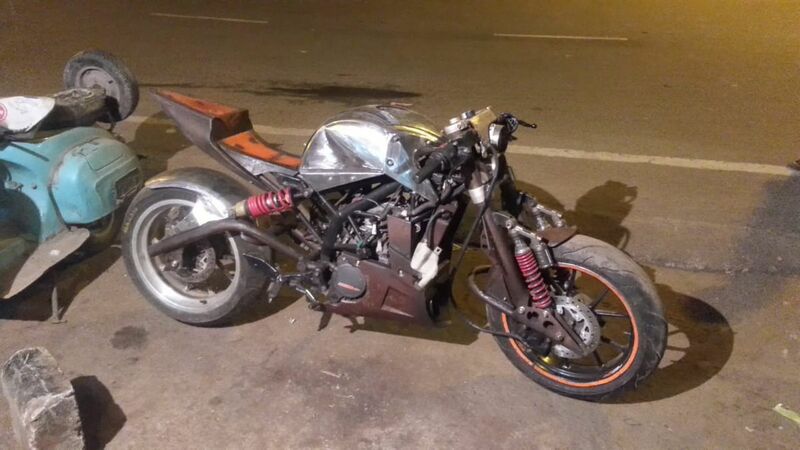 The modified Duke 200cc gets many custom-made parts that make it tough for anyone to recognize the motorcycle’s origins. 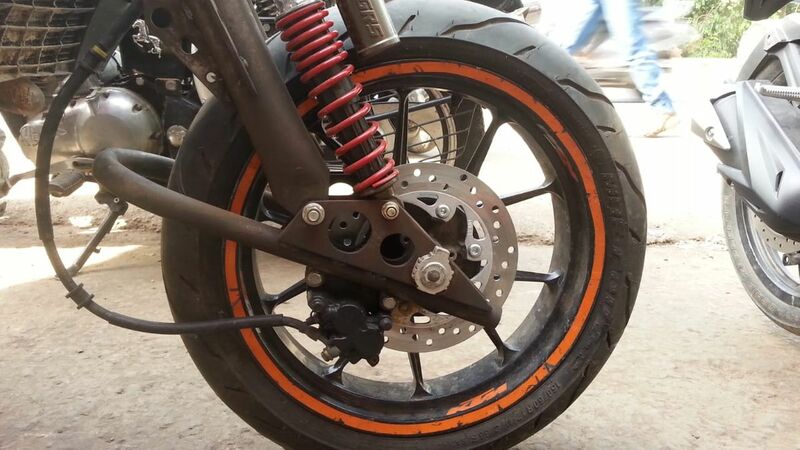 The modified KTM Duke 200 carries the company’s signature Trellis frame but has a completely new tubular swingarm that has been used to accommodate the several modifications the motorcycle carries. 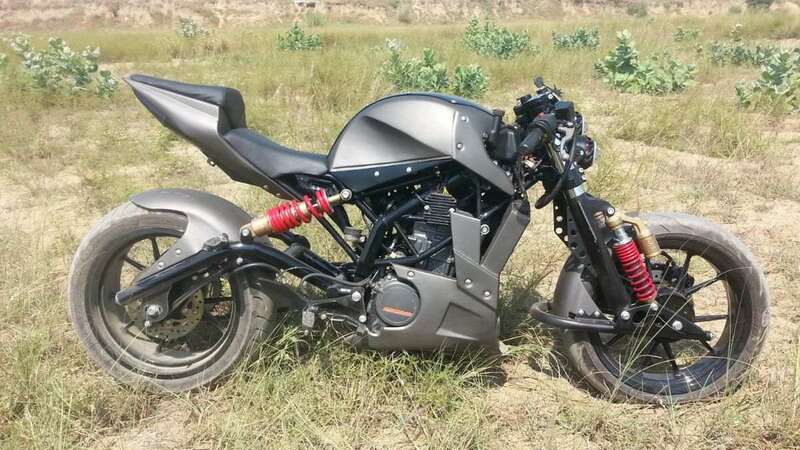 It is due to the new swingarm that the wheelbase of this modified KTM Duke 200 is longer than that of the regular motorcycle. 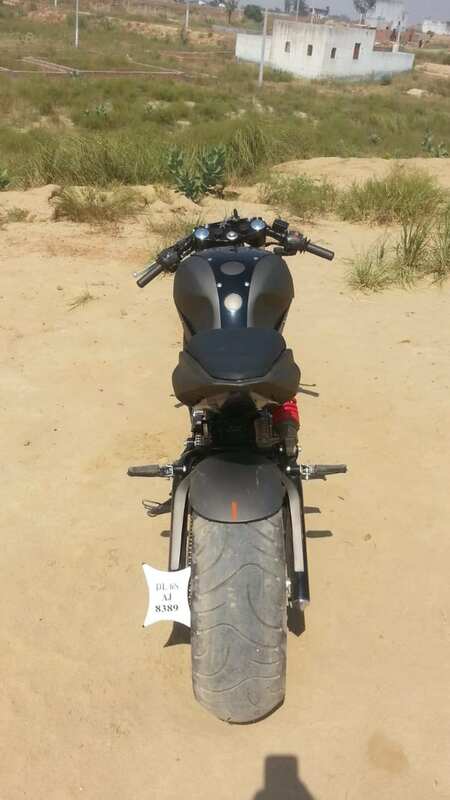 Even the suspension system of the motorcycle has been updated to a great extent. 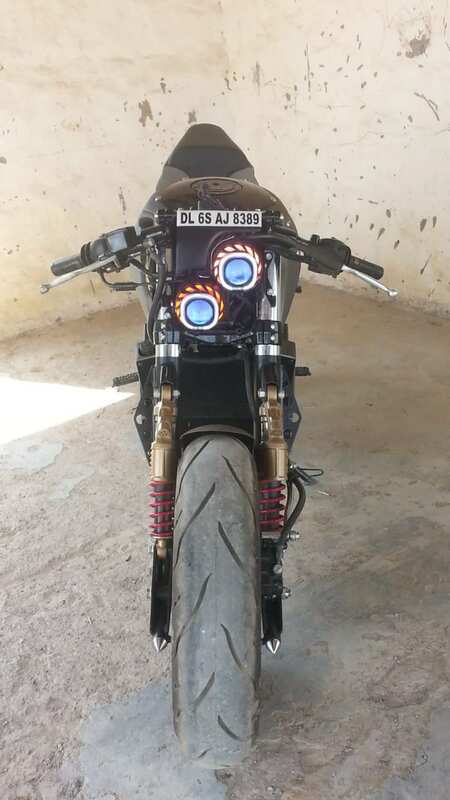 The motorcycle features a new rear monoshock and a girder fork setup at the front that comprises gas-charged shock absorbers. 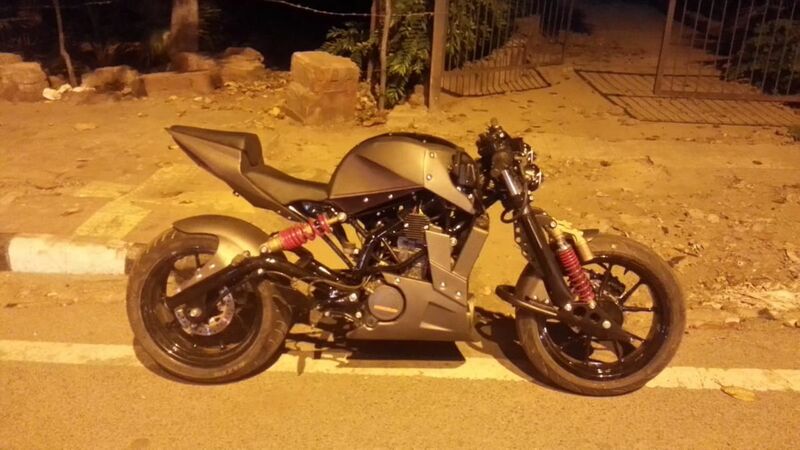 The modified KTM Duke 200 gets a completely new fuel tank that has been hand made by the customizers. Also, the motorcycle comes with a stylish new engine and radiator cover along with a new tailpiece. The stock handlebar has been replaced with sporty clip-ons and the bike also gets twin-LED headlamps with illuminated circumferences. The front wheel and tyre of the stock bike have been retained but the rear gets a new rim and wider rubber. 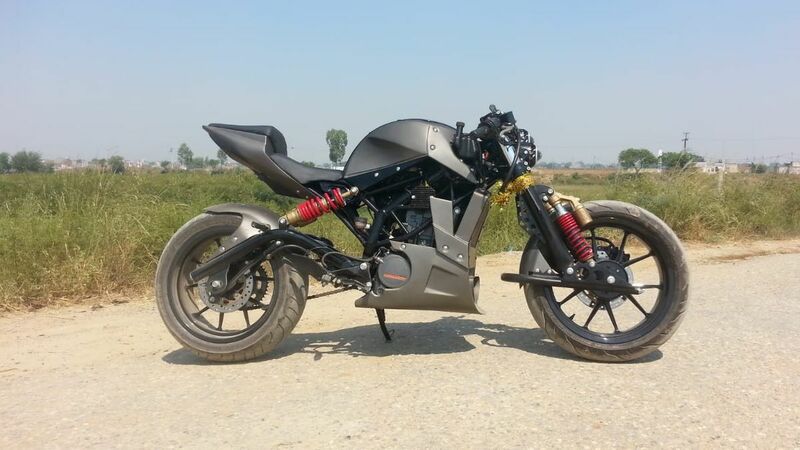 The engine of the modified KTM Duke 200 is exactly the same as that of the original motorcycle. The single-cylinder liquid-cooled motor produces a maximum power of 25 PS and a peak torque of 19.2 Nm. It comes mated to a 6-speed transmission. 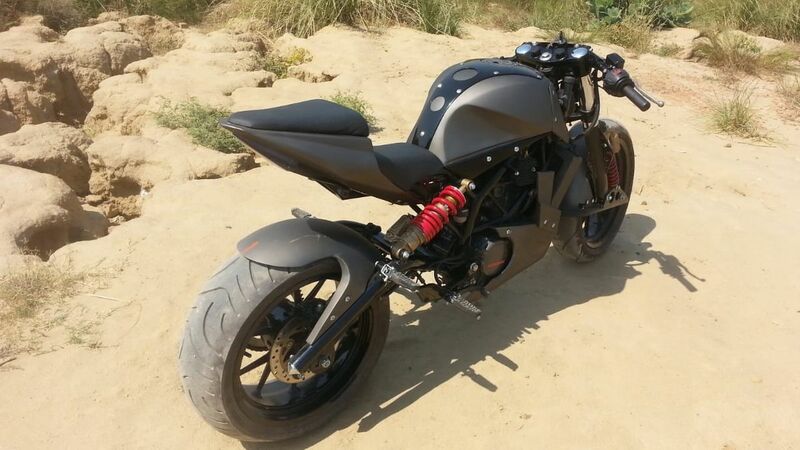 We must say that the modified KTM Duke 200 by GM Customs looks stunning. 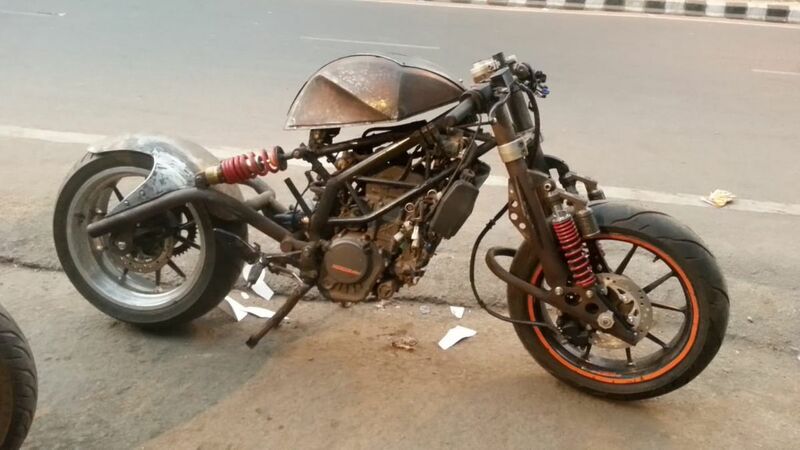 The price of this modification is Rs 1.55 lakh. 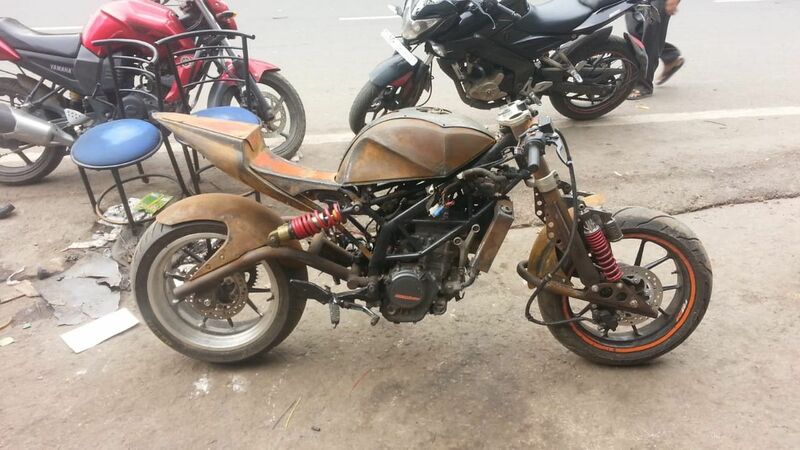 While on the expensive side, the mods surely make it look as bold as a costly Ducati Monster.